With all the traditional qualities found in a historical home combined with the practicality of modern utilities, this home at 125 Smith Street provides you with the best of both worlds. Energy efficiency and an adjacent vacant lot (currently being used as a large yard) make it a unique find in downtown Charleston. Its proximity to King Street makes shopping and dining a breeze, and everything you would need is well within walking distance. The Radcliffborough location is also very close to the College of Charleston and MUSC which attracts a young, vibrant crowd. The home has gorgeous hardwood flooring throughout and original decorative fireplaces are found in the living room and one of the home’s bedrooms. Outside, the home has two large front porches accessible from the living room and the second story landing. 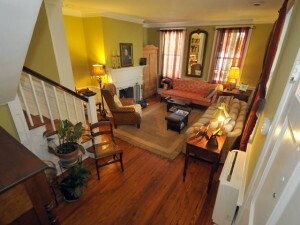 Also on the first floor is the updated kitchen and formal dining room. Both of the bedrooms are located upstairs. The master has an en suite bathroom and dual closets, and the other bedroom has its own decorative fireplace. 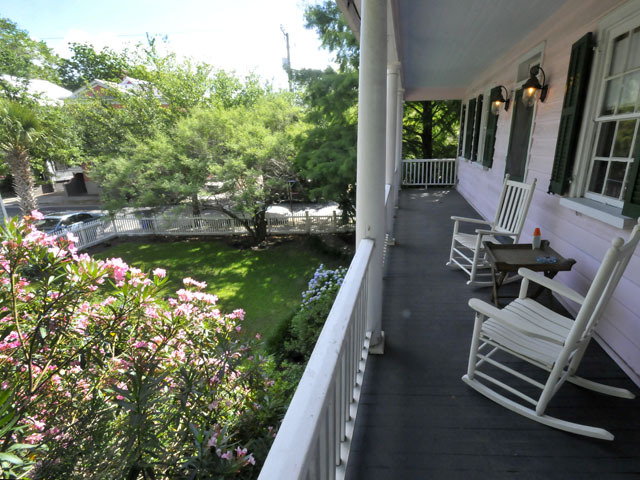 There is also upstairs access to the top front porch as well as an additional full bath. While 125 Smith Street is an older historical home, the kitchen has been modernized. With stainless steel appliances and granite countertops, all the inconveniences of owning an older home are removed. Throughout the rest of the home, small touches of renovation help to keep the house functioning and environmentally friendly upgrades such as spray foam insulation and an on-demand hot water heater help to reduce energy consumption. To see more photos of the home, click here or contact listing agent Charles McIntosh to set up a showing!